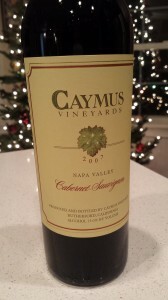 My husband is a huge lover of Caymus wines. They do some lovely Zinfandels that are only available at the winery. They also do a fun Sauvignon Blanc, among others. They are most famous, however, for their two bottlings of Cabernet Sauvignon. There is the Napa Valley Cab, which is wildly popular and generally big, oaky and easy to drink young. Then there is their “Special Selection” which is their flagship wine. 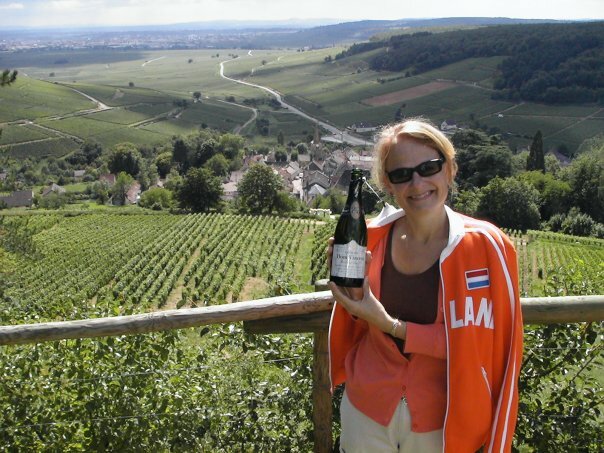 They use their very best barrels for this wine, and it is not produced in every vintage. That being said, even in challenging vintages Caymus does a consistently good job with their wines. The other night we cracked open a 2007 of their Napa Valley Cabernet Sauvignon. What a treat this was. It’s the exact reason I encourage people to try to hold on to some of their bottles, so that they can see how they change and progress after a few years of bottle aging. This wine is clear with a ruby red color and a purple rim, indicating some age. On the nose is leather, deep cassis, and chocolate covered black cherry. The palate bursts with dark fruits, especially black cherry. It is complimented by some licorice and shaved chocolate. The oak is beginning to dissipate, bringing the fruit and some earthiness to the forefront. This wine has great complexity, is wonderfully balanced and is singing right now. I’m so thankful to have a few more in my cellar. I also have a couple of their ’07 Special Selections. I can’t wait to try them! If you see a 2007 Caymus on a wine list in a restaurant or on the shelf of a reputable wine store, don’t be afraid to grab it. I doubt you’ll be disappointed! 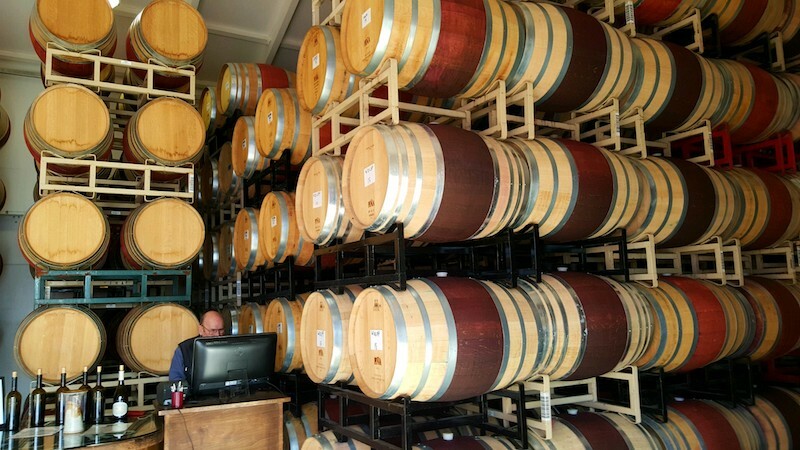 Looking for a GREAT Napa Syrah??? Looking for a Great Napa Cab? Check out Piña! MVP Wine from Charles Woodson!